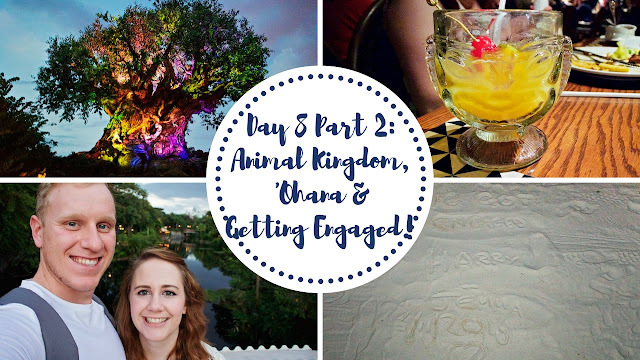 YouTube | Walt Disney World 2016 Vlog #15 - Day 8 Part 2: Animal Kingdom, 'Ohana & Getting Engaged! ​In this week's vlog we hopping over the Animal Kingdom for the last Festival of the Lion King show of the day, Starbucks get Harry's name wrong and we miss out on seeing the Tree of Life awakening! We eat dinner at 'Ohana and take a stroll along the beaches at the Polynesian to watch Wishes, and Harry has a little surprise in store!